Inspiration from great campervan interior builds can be the perfect catalyst for your own project or just good daydream material. 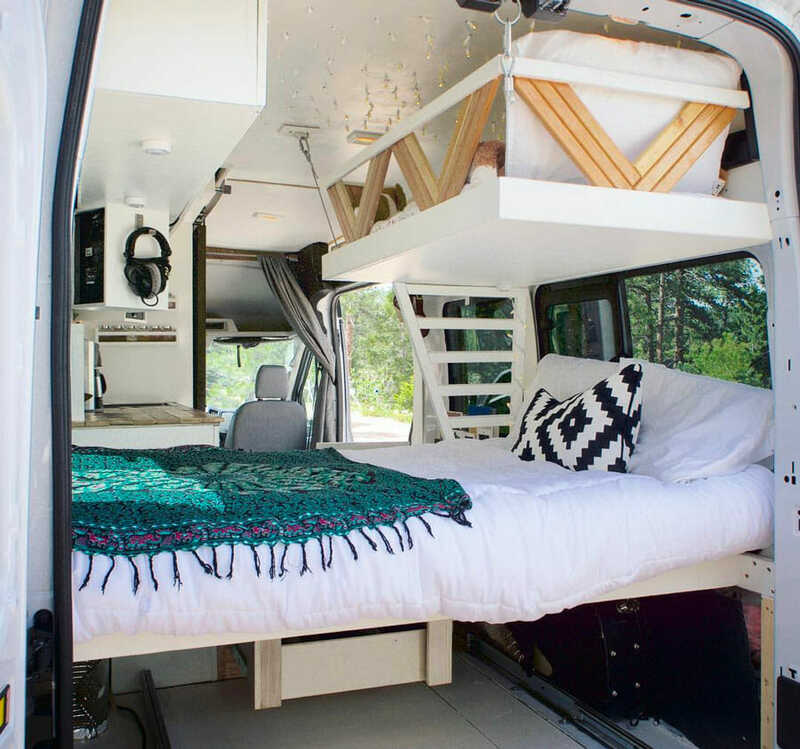 We bookmarked some of our favorite, creative, and road-worthy van builds that we came across in our research. Hopefully these accounts will inspire you to build out your next adventure as well! @slowsteadylivin is one of our favorite accounts to follow on instagram. This #vanlife couple from the UK is currently roaming around Africa and living out of a 1996 Iveco motorhome. This has to be one of the most cozy cabin campervans on the list, it also really makes me wanna run out and buy a cubic mini cub stove. The owner of the account @bishfotosafari is also an awesome photographer and has cool shots all over his website. Alright, so we might be cheating a little here with a bus build, but who wouldn’t want to live in a bus that looks like this? @alwayshomebus adventures around in their retired school bus built on tight budgets and big dreams. @pidivan has a modern wood interior. The van is a VW T4 that was converted by a German couple and travels around the country doing cool things. If you like windows and bright interiors, look at this build by @40hoursoffreedom. 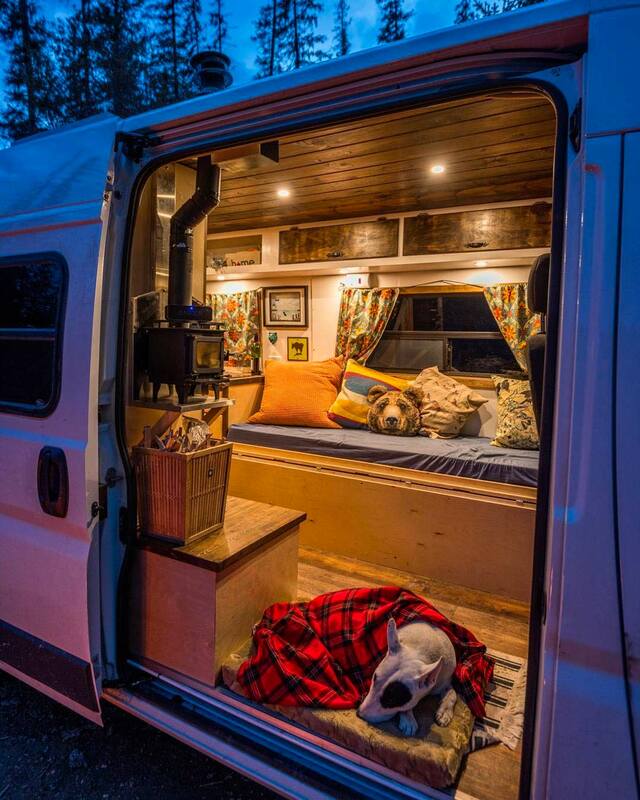 This couple ditched the 9-5 and moved into a 2008 Dodge Sprinter van with a 170″ wheel base. @livingbythemile is the owner of one of our all-time favorite van kitchens! We love the adventurous graphics and nice organization of counter space- including a butcher block. The kitchen is built into a 2008 Dodge Sprinter. @fridaontheroad put a lot of storage for their rock-climbing adventures. They travel around Europe in a Volkswagen Vanagon camper. We like the clean colors and organization on the interior. This camper by @mena_shootz shows how much more spacious a pop-up tent feels! Not only can you stand up on the inside, but who wouldn’t want to wake up to those views? Glad you’re enjoying it! We just added another interior article, and you can always check out our Facebook page. We add new inspiring photos daily! We own a 1980 VW Vanagon camper van, we love it but are always looking for some new van life ideas, organization, tips, and inspiration!